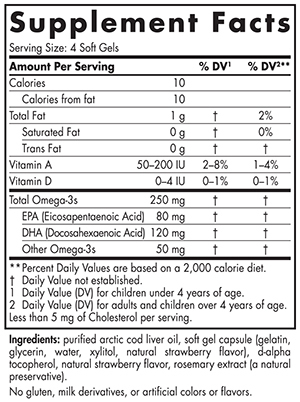 Kids everywhere love Nordic Naturals strawberry-flavored Children’s DHA. Made exclusively from our Gold Standard Arctic Cod Liver Oil, these products are rich in the omega-3 DHA, which is essential for brain function. 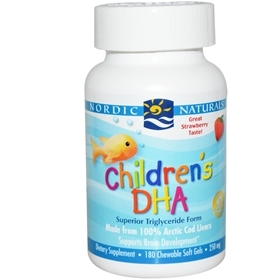 Easily swallowed or chewed by children three years and up, Children’s DHA also contains healthy levels of 100% natural vitamins A and D.
Like all Nordic Naturals fish oils, Children’s DHA is third-party tested and surpasses strict international standards for purity and freshness.